Kalimba- Liste de la musique. Les meilleurs airs classiques. 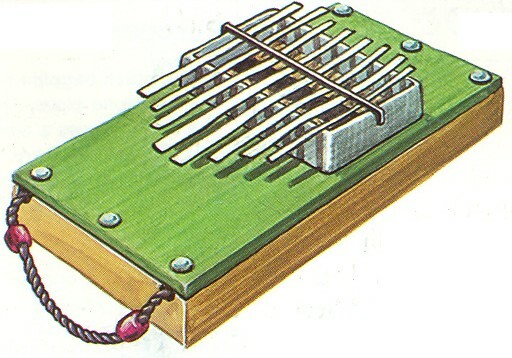 The kalimba comes originally from Africa. Other names for it are mbira, sansa or thumb piano. It consists of many tongues of metal or wood, attached to a sounding board. These are plucked with the thumb. Advanced instruments may have 30 tongues, and a skilled player can perform elaborate and sweet tunes on it.